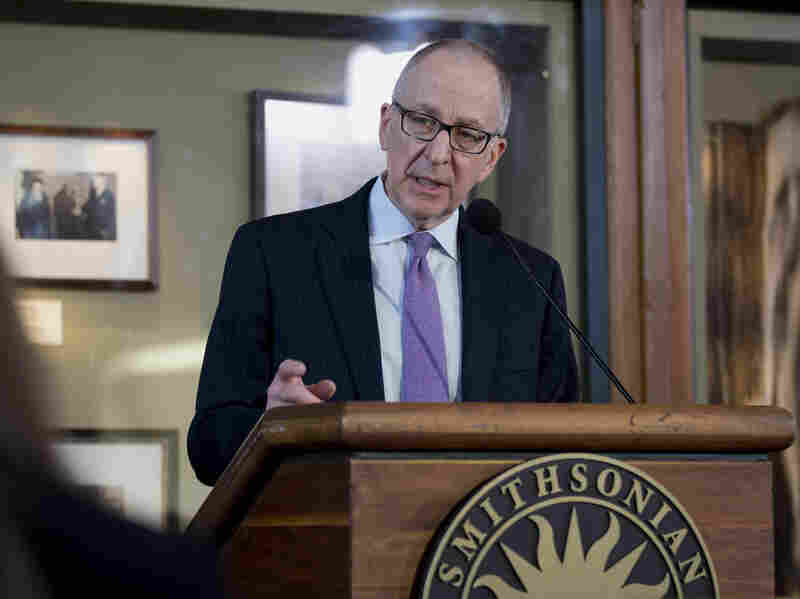 Smithsonian Institution Gets A New Director : The Two-Way Cornell University President David Skorton has been named the Smithsonian's next secretary. Skorton, a cardiologist and amateur jazz musician, will be the first physician to lead the nation's attic. Cornell University President David Skorton speaks during a news conference Monday in Washington, D.C. The new head of the Smithsonian Institution was announced Monday. David Skorton will leave his job as president of Cornell University to become the institution's 13th secretary since its founding in 1846. Skorton becomes the first physician to lead the Smithsonian. He's a board-certified cardiologist and amateur jazz musician. Most importantly for the Smithsonian, he's a skilled fundraiser. Skorton led a team that raised $5 billion during his eight years at Cornell. 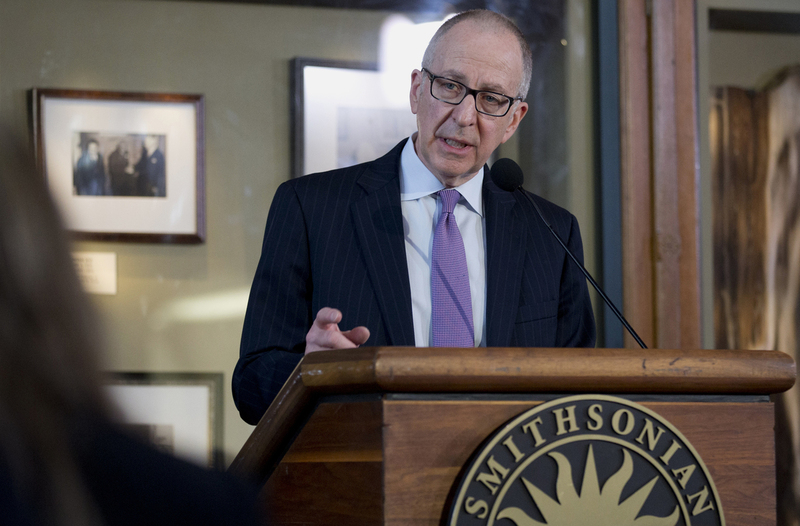 "Becoming a part of the Smithsonian is a once-in-a-lifetime opportunity to lead an institution that is at the heart of the country's cultural, artistic, historical and scientific life," Skorton, 64, said in a statement. He added, I am eager to work with the leaders of Washington's art, science and cultural centers to emphasize the critical importance of these disciplines." Skorton, who also is a past president of the University of Iowa, will take over as secretary in July 2015. He replaces Wayne Clough, who came to the Smithsonian from Georgia Tech where he'd been president. Clough plans to retire in October. With 19 museums, the National Zoo and nine research facilities around the world, the Smithsonian is massive. Running it is a delicate balancing act between advancing the worlds of science, culture and the arts and pleasing Congress. "David Skorton has demonstrated keen vision and skilled leadership as the president of two great American universities," said Supreme Court Chief Justice John Roberts, who is the Smithsonian's chancellor. "His character, experience and talents are an ideal match for the Smithsonian's broad and dynamic range of interests, endeavors and aspirations.